In the previous post emails have been copied from one to another database. The active spam retention policy ensures that emails which have been marked as spam will not be stored permanently in the new GFI MailArchiver Archive Store. The migration process is now complete. So what now? 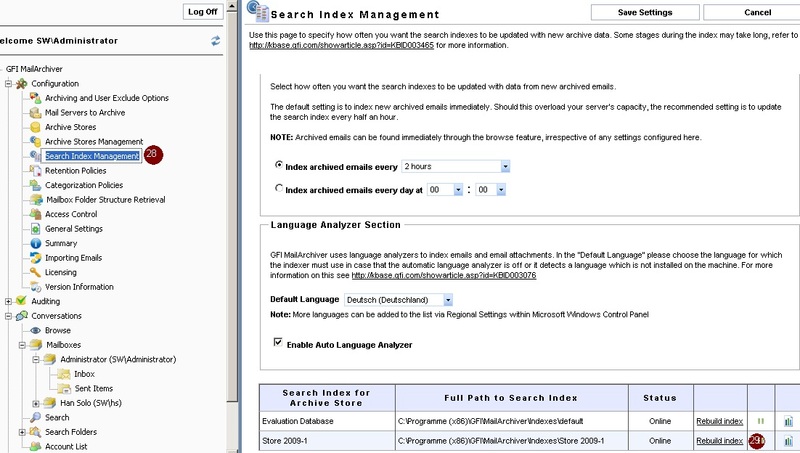 Remove the “old” GFI MailArchiver Store “import”. Just remember that this Archive Store contains spam emails. Click on the recycling icon (26) to remove the link between GFI MailArchiver application and the database. Then click on “Save Settings” (27). 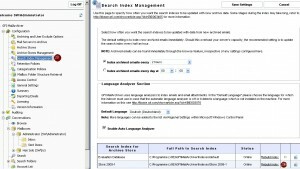 Rebuild the search index for the new Archive Store and click “Rebuild Index”. The search index will now be rebuilt which may take several hours. During a rebuild process users will not be able to search in that Archive Store. Enable the current “mails servers to archive” process which is maintained by GFI MailArchiver. 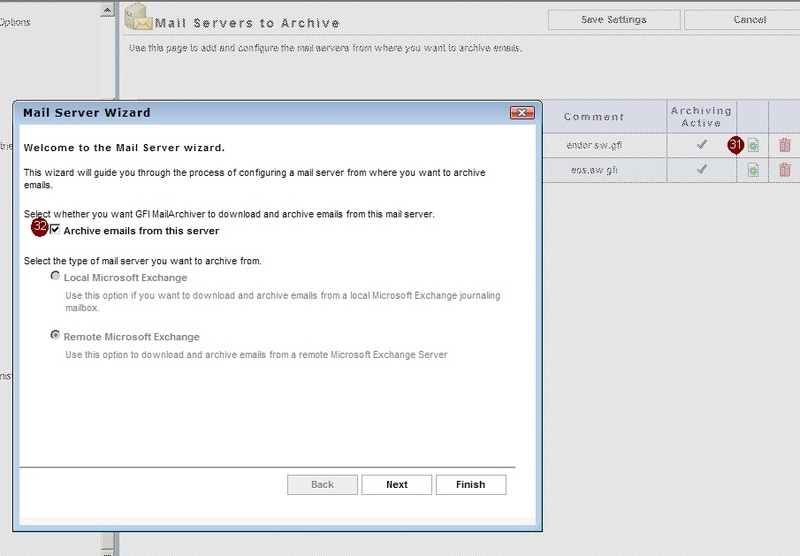 New emails from the journaling mailbox of the Microsoft Exchange Server will now be downloaded again by GFI MailArchiver. Log on to the GFI MailArchiver machine as a domain administrator.Open the GFI MailArchiver Administration Configuration Console. In the next screenshot you will see that I have configured two journaling mailboxes on two different Microsoft Exchange Servers. Launch the “Mail Server Wizard” for each journaling mailbox that you would like to disable. Click on the icon “edit mail server settings” (2) where you can choose to enable/disable the option “Archive emails from this server” (3). Enable the option and confirm the changes by pressing “Finish”. From now on emails will be downloaded from the journaling mailbox by GFI MailArchiver.